Food trends come and go, but zi char is forever. Most Singaporeans have fond nostalgic memories of enjoying zi char meals with family and friends, but one of the downsides is the humid and noisy environment in hawker centres and coffee shops. 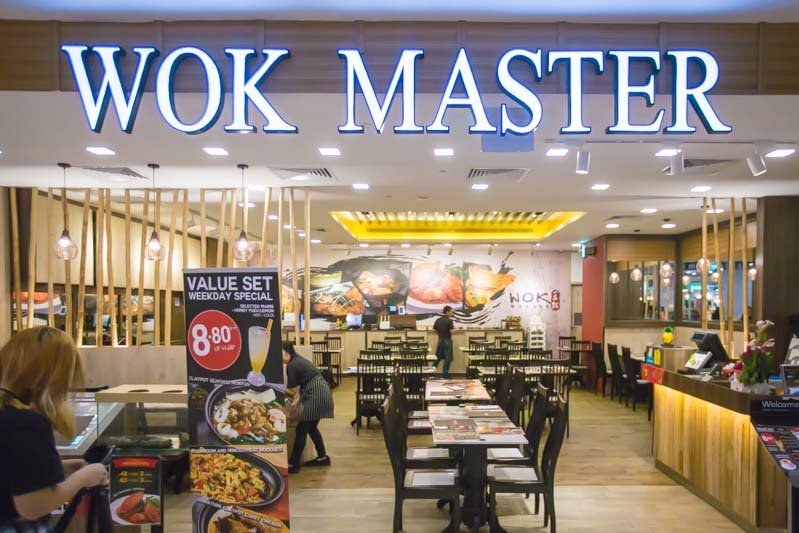 At Wok Master, you’ll get the sumptuous spread of zi char dishes, but in the cool comfort of air-conditioned shopping malls. Westies, you don’t have to travel all the way to their City Square Mall outlet for their speciality zi char and claypot dishes, as they’ve opened a new outlet right here at Westgate in Jurong East. We decided to take a look at this new outlet, especially because they will be coming up with new dishes too! We tried the Seafood Platter 海鲜大餐 (seasonal price), which was really great for sharing. Just look at the variety and amount of seafood you’re getting! The platter was filled with crabs, clams, scallops, crayfish — seafood lovers are definitely in for a treat. I particularly enjoyed the scallop with bee hoon; the tender and juicy scallop contrasted well with the slightly bouncy strands of bee hoon, which managed to soak up the sweet flavours of the seafood. The crayfish and crab were equally fresh and juicy, with the crayfish meat sliding easily out of the shell. The crab claw was already broken for easier access to the tender meat inside. There were also tons of juicy prawns, clams and even quail eggs to fill us up. If you’re hankering for a dish that’s more unique, you definitely need to try the Kirin Prawns 麒麟虾 ($25 for 5 pieces). This interesting looking dish takes inspiration from the Chinese mythical creature Kirin, which has beautifully patterned scales. The almond slices embedded on the prawns in this dish are meant to look like the scales. Served with wasabi mayonnaise, this dish was a great blend of flavours. I loved that the prawns were soft with a bouncy chewiness. This contrasted with the crunchy almond slices, while the wasabi mayonnaise cut through the rich seafood flavour. Another new dish we tried was the Dragon Fruit Scallops 玉龙双菌带子 ($25 for small, $45 for medium). The dragon fruit is hollowed out with a melon scooper, and stuffed with prawn balls, scallops, mushrooms and assorted vegetables. The dragon fruit balls were also used for garnish — waste not, want not! Like the rest of the seafood dishes, the scallops and prawn balls were fresh and juicy, with a bouncy texture that gave every mouthful an enjoyable bite. You can also eat the dragon fruit balls together with the rest of the ingredients, which lent a refreshingly cool taste to the dish. For something lighter on the palate, why not try the Lobster Broth with Crispy Rice 上海龙虾泡汤 (seasonal price)? Served in a bamboo bucket, this dish was really simple yet comforting. The best way to enjoy this dish is to pour the crispy rice into the steamed lobster broth, and you’ll get both chewy-crispy textures liken to bottom-of-the-pot rice. You’ll know that the lobster meat is well-cooked and fresh when it could be easily pulled out of the shell without much tugging, the meat was also clean-tasting and light on the palate. Of course, we got to sample some of their traditional specialty dishes. What’s zi char without curry fish head? Wok Master does a brilliant Signature Curry Fish Head 咖喱鱼头 ($28) which hit all the right spots. From the thick and fragrant curry sauce, to the tender fish that broke apart easily, this was definitely a must-try dish. I simply couldn’t get enough of the curry sauce! Sweet and thick, this curry packed a real punch. The portion was also quite generous, so do bring some spice-loving friends along to share. Another classic dish we tried was the Chilli Crab 辣椒螃蟹 (seasonal prices); it’s Singapore’s national dish, after all, so we couldn’t possibly miss out on this. You definitely have to get some Buns 馒头 ($2 for 4 pieces) to go along with this dish. How else are you going to mop up all that delicious chilli crab sauce? Delightfully crispy on the outside with a warm and fluffy centre, the slightly sweet buns went really well with the sweet and spicy sauce. Unlike some places with more watery sauces, the flavourful sauce had a thick consistency that clung easily to the crabmeat and buns too! I also liked the egg strands in the sauce, which added more texture to the dish. If chilli crab isn’t your thing, you can always enjoy the Claypot Crab Bee Hoon Soup 螃蟹米粉汤 (seasonal prices). The light yet flavourful broth will have you dipping your spoon back for more, and more. With just the right amount of milky flavour, the broth was infused into both the bee hoon and the crab meat. I enjoyed the soft bee hoon, although some may prefer a more al dente texture. The crab meat was up to standard too, with a firm and bouncy texture. The portion was pretty big, so you’ll definitely want to share this dish. If you’re looking for a zi char place for your next gathering or celebration, give Wok Master a try. 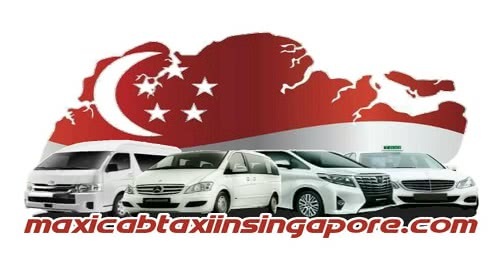 You’ll get all the benefits of a zi char dinner, with much more atas ambience. What’s more, prices are kept affordable so a meal here isn’t going to burn a hole in your pocket.